Sean DaSilva, Anh Tranh, Barnard Krouch, Irene Sok and Monica Narm were among over 350 seniors from Lowell High School and Lowell Middlesex Academy Charter School who participated in Jeanne D’Arc Credit Union’s ninth annual MoneyStrong For Life Fair. More than 350 students from Lowell High School and Lowell Middlesex Academy Charter School got quite the reality check at Jeanne D’Arc Credit Union’s ninth annual MoneyStrong for Life Fair, held Wednesday, March 27 at the Tsongas Center. During the fair, students role-played themselves at age 25 and were tasked with making real-life financial decisions to successfully manage their income, savings, credit cards and the high cost of self-supporting. 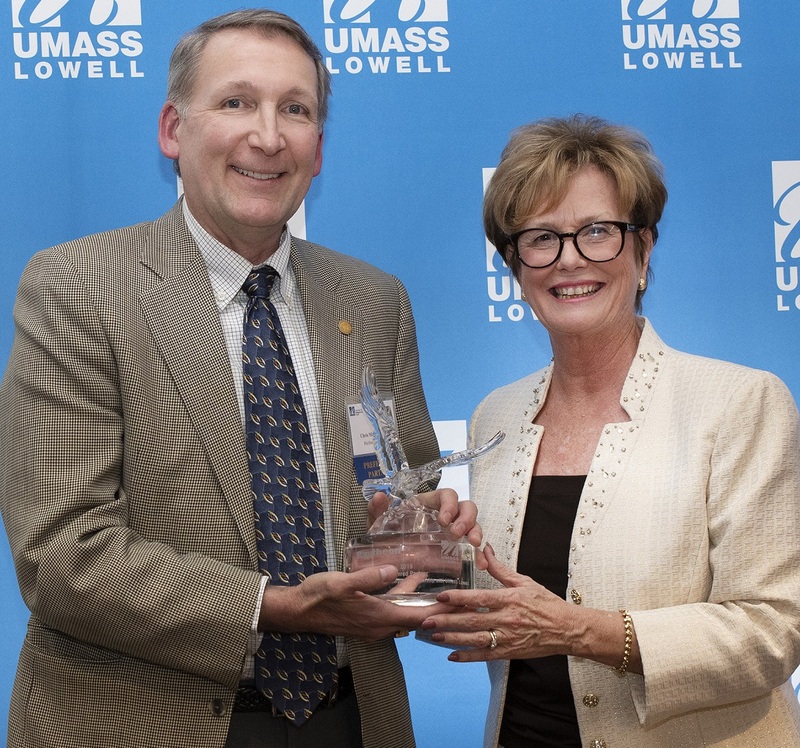 UMass Lowell recently recognized Kronos and Raytheon for their commitment to the success of the university with its first Preferred Partners honors. The MDA Muscle Team with Energy North Group/Haffner’s at the recent MDA Muscle Team event. Haffner’s was honored to partner and fundraise with the Muscular Dystrophy Association (MDA) for the 15th year. 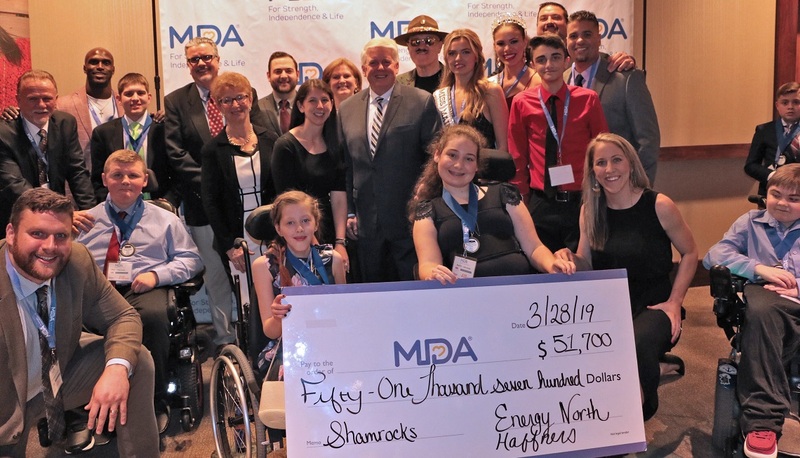 The money raised sends kids to MDA Summer Camp and funds groundbreaking research efforts and best-in-class care for kids and adults living with muscular dystrophy, ALS and related neuromuscular diseases. This year, Haffner’s proudly donated a total of $63,200 to the MDA. The Andover Arts and Cultural Alliance and Andover Village Improvement Society have announced an open call for proposals for Art Along the Trails. This is a celebration of 125 years of AVIS preserving wildlife habitats and water resources while providing free access to hills, woods and waterways for Andover residents and visitors. Individual artists, collaborative artists, students and community groups are invited to submit artwork for consideration. Artists are encouraged to consider how the natural world informs their art and how their art compliments the natural world with particular emphasis on AVIS. The full list of AVIS Rules and Regulations can be found at AvisAndover.org, and the proposal application can be found here. 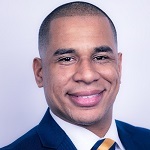 Bradford resident Brian Mohika, CEO of CathWear, has been named to the Northern Essex Community College Alumni Board. His appointment was voted upon unanimously at the Board’s March 20 meeting. Originally from Lawrence, Mohika graduated from NECC’s radiologic technology program in 2006 and from UMass Lowell’s Bachelor of Science in nursing program in 2015. Since that time, he has devoted a large part of his career to inventing and patenting devices for individuals recovering from mobility-limiting medical procedures. In 2017 he created the Lawrence-based CathWear, a unisex underwear brand with a built-in catheter channel tract, designed to improve quality of life for patients with certain conditions. His work and story was recently featured in the Lawrence Partnership’s “Why Lawrence?” video series, which highlighted his contributions to the regional economy and workforce. In joining the Alumni Board, Mohika states, he hopes to continue the spirit of community involvement by giving back to the college that gave him a start.